As promised, here is the link to the Charlotte Mason Teacher Binder Cover I shared on my Instagram. May it be a daily reminder to you as you move throughout your school year of who you are, Whose you are, and that you have been created in Christ to be able to accomplish everything He has willed for your life. This week marks the official start of our 2016-2017 school year, and I am so excited to share all of the curriculum choices we made for this year! 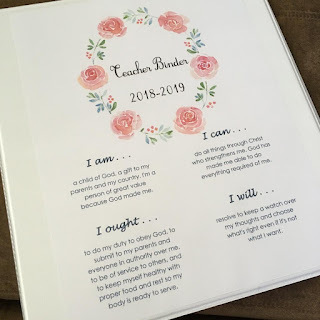 This will be my first year doing actual curriculum sets with two children instead of one, and I think I made some good choices to gently ease us into that transition, as well as to incorporate as much group teaching/learning as possible! First up, we have jumped on the Math-U-See wagon, and I am really excited! As you can see, we have purchased both the Primer Universal Set, which comes with the manipulative blocks, as well as the Alpha Level Up set. The wooden storage box was an amazing find from a homeschool materials page, and I really do wish that it was still available for purchasing new-it is amazing! I absolutely love that this program has DVDs included with the instructional materials. For someone like me who is not 100% confident in my math skills, it is so nice to be able to sit and watch the instructional lessons with my littles and learn right alongside them! 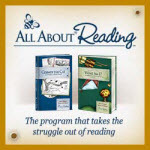 If you are using the program with multiple chilren, they do have the workbooks available separately so that you are not required to constantly repurchase materials you already own. Primer (as you may have guessed from the name) is the very first level of MUS. It includes the concepts of number recognition, counting objects, writing numerals, skip counting, addition and subtraction using manipulatives and pictures, telling time, and so much more! We will be using this for our K4 student, as he is definitely ready to step up his game from the simple workbooks we had been using before purchasing MUS. We chose the Alpha level for our big girl, who is going into first grade this year, and it covers most concepts from Primer, but really focuses on fluency, or developing the ability to complete the task without much hesitation, when solving addition and subtraction problems. It also introduces solving for an unknown...I was not introduced to solving for an unknown until middle school!!! So awesome! I cannot get over just how amazing these manipulatives are! If I am being honest-seeing the demo video of these little guys in use is what totally sold me on this curriculum! I struggled for YEARS in math as a visual learner in a system catered towards auditory learning, and I knew that this program would be great for my little visual learners...and even for helping me reclaim all those bits and pieces that never did get a firm foundation :). Next up, one of the curriculum choices that is nearest and dearest to my heart-All About Reading! We used Level 1 last year with our oldest, and absolutely fell in LOVE with the ease of use (which is really important to me as a mama of three littles aged six and under, and another coming along in a few short weeks! ), as well as the engaging activities and stories! As you can see, this year we purchased both the Pre-reading set four our K4 kiddo, as well as the Level 2 set for our first grader. As soon as we received the pre-reading set, I immediately regretted not purchasing it for our oldest when she was a beginning reader! The activities, the readers, the stickers, the letter posters, and ZIGGY THE ZEBRA?! What is not to love?! My kids have all been so excited about Ziggy coming to live with us, and I am going to incorporate him into all of our reading lessons instead of keeping him confined to our pre-reading time! I can't say enough about how engaged my littles have been with each level of this program, and how much I appreciate the fact that this is truly and open-and-go curriculum. That has been so nice, especially with this current pregnancy being very challenging. I have been able to complete our reading lessons for the day from the couch without doing any prep work aside from reviewing the lesson quickly before starting, and the materials are all so engaging that our daughter actually asked me daily if it was time for reading! To go along with our All About Reading, we are using All About Spelling Level 1 this year to begin formal spelling lessons. I love that you share the same letter tiles (pictured) as are used in All About Reading, and how the program is also completely open and go-no prep work required! I also appreciate the fact that the program explains the "whys" of the spelling rules. I was always the students that needed to know why, but my teachers nearly always responded with, "That's just how it is!" Now that I have my own little need-to-knowers, I can actually articulate they "whys" and "whens" of spelling rules! We are also continuing our journey with Classical Conversations this year, but are taking a year off of community to do our memory work from home since we will be welcoming a new little one in October. I am super sad to miss out on community day because that is part of what makes CC so amazing, but I am also thankful to still be able to use these amazing materials to learn about everything from Latin and the Magna Carta to all of the United States Presidents and world geography, right from home! 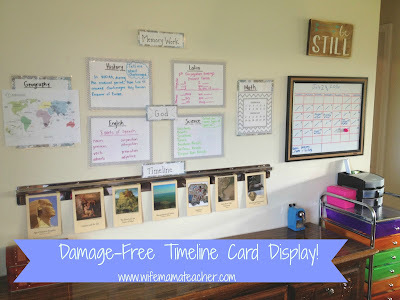 We really love the audio CDs and the memory work flashcards for use on the go or during games at home (see a few of our favorite games HERE), and the Timeline Cards are phenomenal (see how I organize mine HERE). Speaking of United States Presidents, I am SO excited to be adding this amazing book, written by the author the summer after her sophomore year in high school, about each of our 44 presidents! The book is titled, "Our Presidents ROCK! ", and has been on that I have had a hard time putting down since we received it! It has so much great information about each president, ranging from discussing their viewpoints and an overview of their lives, to how their accomplishments have shaped our lives today and why it is important to learn about the policies of each president. My plan is to cover two presidents per week, so that by the time we reach week 24 in our CC memory work, my kids will have a solid foundation of information about each president as we sing about them in the presidents' song :). This author has also published a book called, "Our Constitution ROCKS! ", and while I won't be using it with my littles this year, I am still picking up a copy for myself and my hubby, who are history enthusiasts, to enjoy during our free reading time! Lol! We have been using the Draw Write Now series for a little over a year now, and it is a big hit with my art-loving oldest babe! I showed, in detail, how we used this program to go along with our CC memory work in my Homeschool Organizational Video Using Workboxes. There are a total of eight books in the boxed set that we purchased, and each themed book has factual sentences about specific topics, and then detailed step-by-step pictures on how to draw a picture that corresponds with the facts. I started using this program before our oldest was able to write independently, and I would write the facts using highlighter on lined paper for her to trace over. As the year progressed and her fine-motor skills developed, I began to leave words throughout each sentence for her to copy on her own, and finally stopped using the highlighter altogether. This is the only formal writing curriculum we have used, and I could not be more happy with it! Finally, we were very blessed to have Mamaw (that's how we say "Grandmother" here in the south :D ) purchase some fun science supplements since we will not be doing our weekly experiments on community day at CC this year. We are super excited about each of them! The 201 Awesome, Magical, Bizarre, & Incredible Experiments book by Janice VanCleave is where most of the weekly experiments done at CC come from, and we have enjoyed them very much! This year in CC (Cycle 2), we are learning about our solar system, and so we also picked up a Solar System Kit to create our own model, as well as Sun Art Paper to make our own solar prints! There you have it! 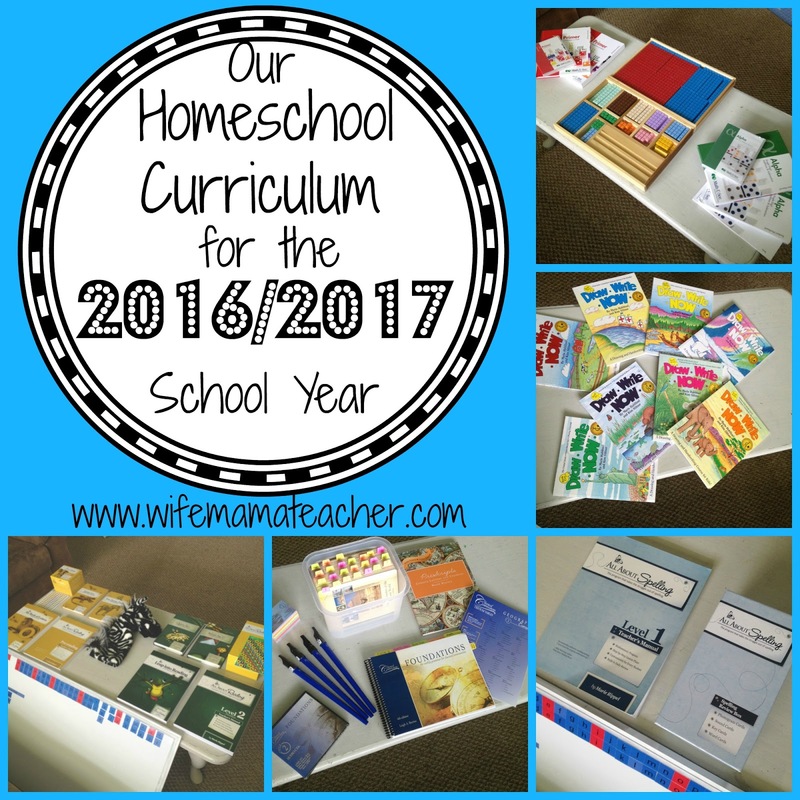 Those are all the curriculum and supplement choices we made this year for school, and we could not be more excited to dive right in! I am curious to know-what curriculum choices do you find work best for your family, and what supplements have been your favorite to use? Leave me a comment below and share your must-haves with me! Without a doubt, the number one question I get on Facebook, YouTube, and Instagram is, "What IS that thing holding your timeline cards?!" Lol! I can totally understand, because that was exactly what I wanted to know when I first saw someone share a picture of the way they had their timeline cards set up! To my amazement (and a little to my disappointment that I didn't think of this genius idea! ), the person shared that it was actually a restaurant ticket holder! How awesome is that?! I loved the idea of no longer fooling with sticky tac and tape every week, and also the fact that this would help keep my cards looking great since they just slide in and out of the ticket holder easily, so I ordered one immediately! When it arrived, my handy man hubby got it installed for me underneath my memory work display (free, super-cute skip counting printables found HERE), and I could not have been happier with how it turned out! LOVE our Classroom Friendly Supplies pencil sharpener! Works like none other, and such a fun color! This ticket holder makes it so easy to slide cards in and out when we update our memory work display every week (see how I store my timeline cards HERE), and the fact that there is no damage (and no fighting to get every last piece of sticky-tac off of the back of my cards, lol!) is definitely important to me since we will be using these cards for years to come. It is also perfect for quickly removing the cards from the display and being able to read all of the great tidbits of information on the back. I chose to go for the 48" version, and I found that gives me more than enough room to display just the timeline cards for the week, but also allows for the additional option of displaying both the Acts & Facts Artists/Composers and Science cards for the week as well! 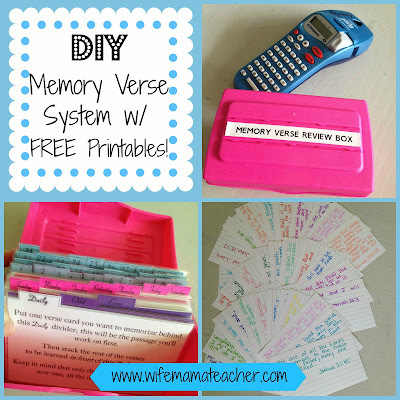 I love having all of our memory work displayed in one nice, neat area along with our workboxes (video tour of our workbox systems HERE) and Charlotte Mason scripture review system (tutorial and free printables HERE). It makes is so easy to do impromptu memory work quizzing throughout the day, and also helps keep Daddy in the loop with what we are learning about in school since our school area is in our kitchen/dining area. Never any shortage of interesting conversation around our dinner table :). What about you-how do you display your timeline cards? Do you use a restaurant ticket holder or something else? I always love to see how others display their school things, so tag me on Instagram using #wifemamteacher so I can see your setup! Can I make a confession? I have to say that, without a doubt, I am a book junkie! Especially children's books-I love them all! Perhaps it is all the fond memories I have of being read to as a child or staying up late reading my beloved books, or maybe it is the former kindergarten teacher in me that just loved seeing my students' eyes light up and hearing their precious laughs while reading stories to them every day. Whatever the reason may be, I just love the wonder and the excitement that books for littles bring! 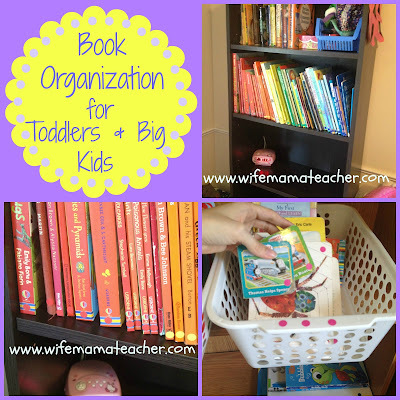 However...with this love, has also come a BIG problem in our home-with our growing collection of favorites and three kids five and under, we were having major issues figuring out how to store the books neatly, and keep them that way after the kiddos had finished reading them! We had tried so many systems before, and nothing had worked until I came across an idea a friend had shared-sorting the books by color! Color is something that even the smallest readers can typically identify (and if they can't-it is a great way to learn colors! ), and because of that, it makes it very easy for even young children to find and replace books when they are sorted by color. I had these stickers left over from another failed attempt at organizing books by genre, so I decided to make use of them to help both my big kids and our little guy keep up with where their books belong easily. I started with the big kids' books first. All the paperback books and books with paper pages stay up on a shelf where the little guy can't reach them because, well...he doesn't quite understand the concept of turning pages carefully yet, lol! Can you tell a toddler lives here? Did the empty bottom shelves give it away?! To set this system up, I basically took all the books that clearly belonged in one color family, placed a sticker on the spine, and grouped them on the shelf together. You may have noticed that the orange books have a yellow sticker on the spine, and that is because I didn't have any orange stickers and wanted to avoid having to buy a whole new pack of stickers :). You may have also noticed that there are some thin paperback books with no sticker on the spine-so what is a person to do in that case?! No worries-I just placed the sticker on the bottom right-hand corner of the back of each book! The big kids know to check the back for a sticker if there is not one on the side :). We also had a lot of books that didn't have a specific color, so I put them all on a separate shelf and labeled them all with a purple sticker. Toddler hand print DIY here. Now, on to the books for my little man! As I mentioned before, this fella is not quite ready page books yet, so we keep all of the board books on the bottom two shelves of his bookshelf so he can read them anytime he wants :). At 21 months, he is still learning his colors, so we kept it super simple with him. I split his books up into three color categories (no rhyme or reason to how I sorted them-it was really just putting books in a basket, lol!). I chose to go with green, pink, and blue. I simply placed three colored dots on both baskets, and then a corresponding dot onto the front of the books that fit within each basket so he can match the stickers on the book with the stickers on the basket. A few of our books were too big to put into the baskets, so I just put three dots onto the bookshelf, and stacked those books in a pile above the dots. Speaking of learning colors, "Freight Train" by Donald Crews is an EXCELLENT book for doing just that! Our little guy has been enthralled with this book since he was just a little bitty boy! That's it! I am really pleased with the way this project turned out, and how much nicer our books stay organized since we implemented it! I would love to hear your organizing tips and tricks-leave me a comment below and tell me what organizing systems your family couldn't function without! If you are anything like me, you are a person who needs material to come to life in order to make it stick in your brain. I was never a "sit and get" student-rather, I was one who soaked up activity, movement, visuals, and excitement when my teachers were amazing enough to break away from the standard lecture-style of instruction that was typical in my classrooms growing up. That is why I have sought to make learning come to life for my littles, and one of my favorite ways to do that is through playing games! The games don't have to be elaborate-mine are games that literally took me only minutes to put together! Those few moments spent creating each game have given us all so much laughter and joy while learning, and my kiddos beg to play our games every day! Below you will find our most loved, and most easy to create, games! Not only do we play them at home, but several are favorites for taking with us when we will have to wait for appointments, car maintenance, etc.! Please be sure to comment below and share what your family's favorite review games are! It is hard to choose a favorite from amongst our review games, but if we *had* to, this one would probably win simply because it is the one my children request the most! I stumbled upon this while browsing the Teachers Pay Teachers website for free games, and I am so glad I did! 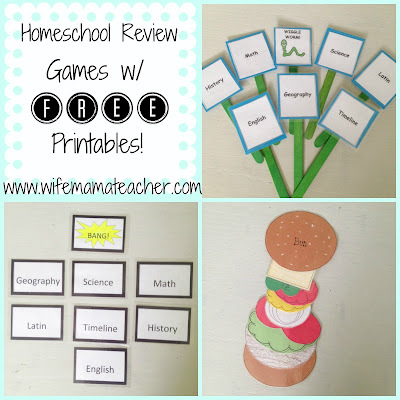 You can find the free printables here, and essentially, you just print out all of your hamburger pieces (I chose to do mine on colored construction paper-with the exception of the cheese, which I printed on white paper and then colored to avoid having it be the same color as the mustard, lol-and then laminated all the pieces to make them extra durable), cut them out, and you are set to go! The object of the game is to be the first to collect all of the hamburger pieces so you may then "eat" your pretend hamburger! Pieces are awarded for all questions answered or facts stated correctly. Sounds almost too easy...because it is! However, my kids LOVE this game! This is definitely our favorite "on-the-go" game-I just toss it in my bag and we can easily play in any waiting room we find ourselves in! This game is a ton of fun! I saw this game while browsing for review game ideas related to Classical Conversations, and although it is simple, it is still so entertaining! 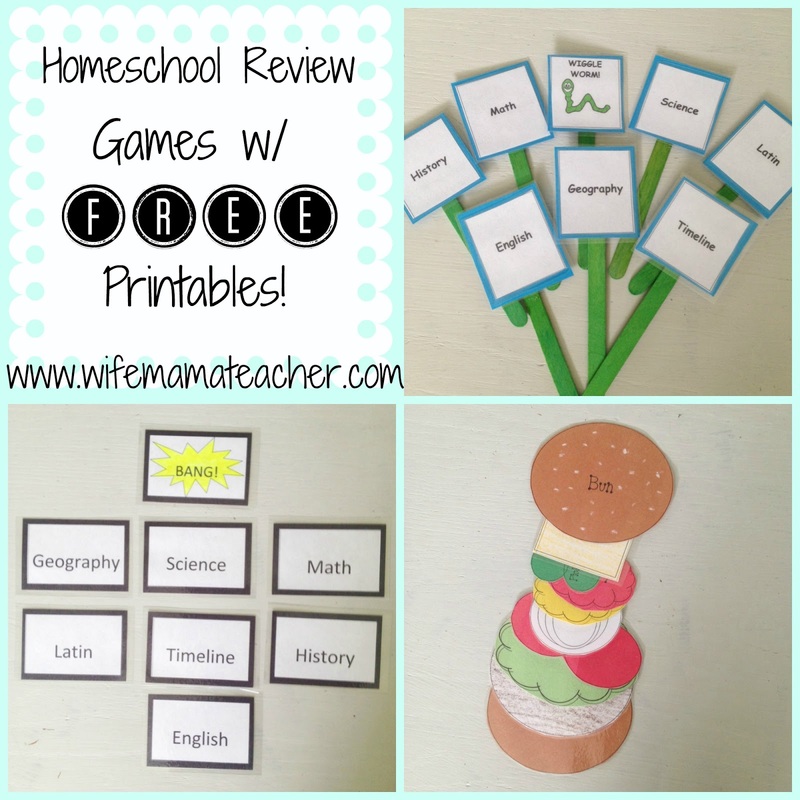 To make this game, you will simply print out the subject cards you need (free template HERE! ), and then mount them to construction paper or cardstock. I chose to use all the same color, because my kiddos would totally zero in on the "BANG!" card simply by color if the cards were different colors :). I then laminated the cards to help them hold up, and we were ready to go! Playing is SO easy-all cards are placed face-down, and a child chooses a card then attempts to answer a question about the corresponding subject. If they answer correctly, they keep the card, and if not, teacher/siblings/etc. may help answer the questions, and I usually still let the child keep the card because I am a big softy, ha ha! If a student happens to draw the "BANG!" card, they put all their cards back in the pile and start over! There really is no end to the game and no winner since the "BANG!" card never gets taken out of the rotation, so it is also great for those still working on good sportsmanship and playing happily even if you are not "winning" :). This is a game we love to pull out if everyone starts looking a little droopy or if they are having a case of the wiggles-it perks everyone right back up, and helps get all the wiggles out! I followed the same steps as both games above to prepare the game-printing out the pieces (free template HERE!) on colored paper (all the same color because, like the "BANG!" game, my kiddos would pinpoint the Wiggle Worm instantly if I didn't! ), laminating, and then mounting the laminated pieces to Popsicle sticks. To play, I hold the sticks with the cards facing me, and then kiddos draw a stick one at a time, answering questions that correspond with the chosen subject. They return the sticks after answering their questions. If someone draws the Wiggle Worm card, we have a major dance party for about 30 seconds, and totally let loose! Sometimes I even turn music on-whether it be music that goes along with the subjects we are learning, scripture memorization songs, or songs just for fun-we just love to dance and let loose a little! I would LOVE to know what games your family plays to make learning fun! Leave me a comment below sharing your favorites, and be sure to include a link to your blog if you have one! 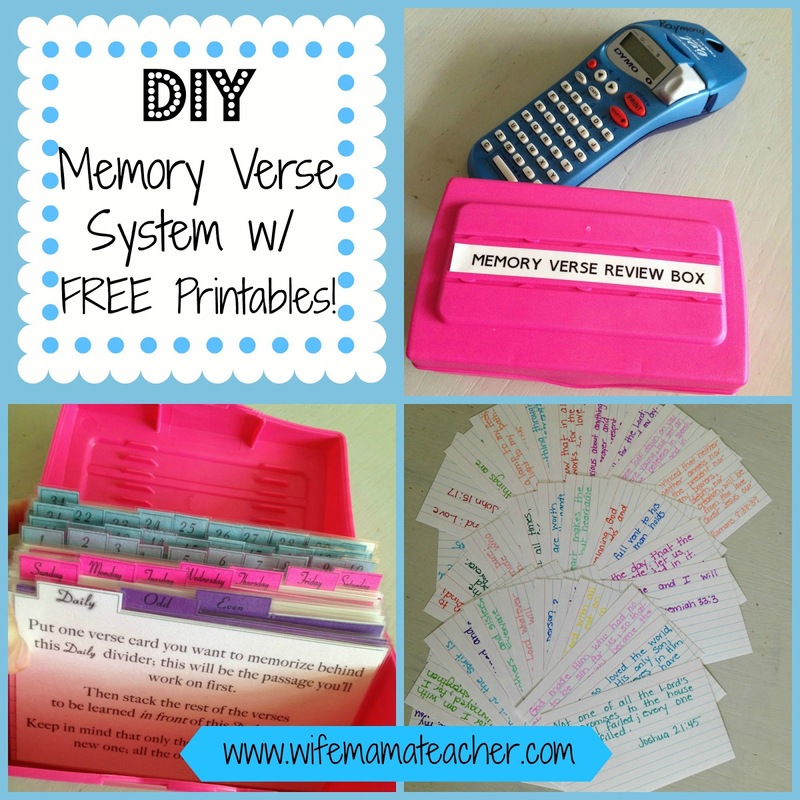 If you saw my video on how we organize our schoolwork using the workbox system, you probably noticed that our memory verse system was in need of a major overhaul! Since our verses get used daily and have lots of little hands touching them, you can imagine that they may not have been in the best shape ever :). Enter, the Charlotte Mason Scripture Review System! 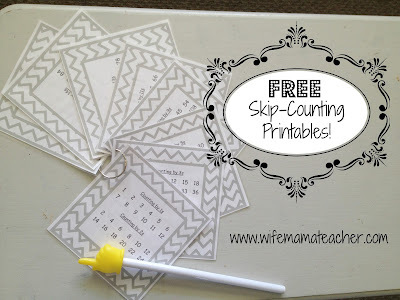 I happened upon this idea while browsing CM homeschooling ideas, and totally fell in love with the simplicity and ease of use! And when you have three littles aged five and under, and are expecting another little blessing, who doesn't want simplicity?! I was really excited to see that not only was the system easy to set up, but the divider tabs were FREE PRINTABLES! Double win! I know how excited I was to get started putting together and using my system, so instead of keeping you waiting, let's dive in! 1.) I began by printing out my free divider tabs onto colored cardstock and construction paper. I knew these dividers were going to be getting some heavy use, so I wanted them to be as durable as possible. 3.) 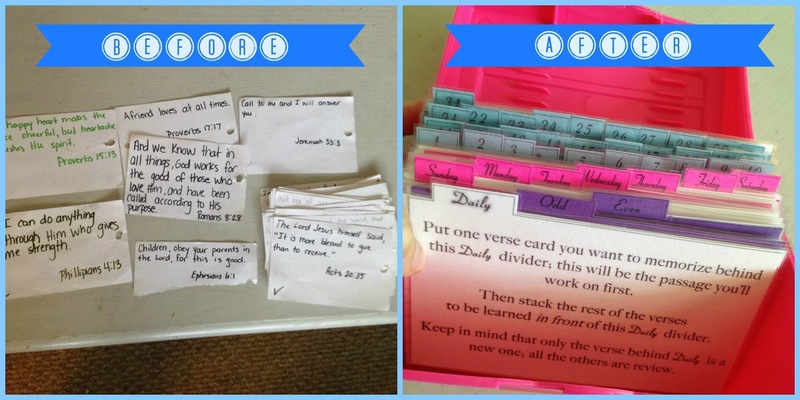 After I was done cutting all the dividers out, I transferred all of our old memory verses onto fresh index cards. If you are just starting out and feeling overwhelmed about what verses to memorize-do not stress! We personally choose to focus on verses that explain the Gospel, verses that discuss right choices and behavior, verses that talk about the Authority of God and Scripture, among others. There are lots of lists on the internet, like "Best Bible Verses for Kids" that you may choose to look at, or you can also buy pre-printed packs of memory verses (girls and boys options available!) like we did as a fun Easter surprise for our eldest children. We also LOVE Seeds Family Worship CDs (many available to stream free for Amazon Prime members!)! They set scripture verses to super-catchy tunes, and even my hubby and I find ourselves busting out the tunes often! 4.) I then decided to laminate my index cards because, as I mentioned above, this is a tool that my kiddos love to help and interact with, so lamination is our best bet in protecting against spills, rips, and sticky fingerprints! 5. ) I then cut out all of the laminated index cards and divider tabs, and arranged them into our box! I did a quick video walk-through on how I chose to set up my box because I thought it would be easier than explaining, so be sure to check it out! 6.) I added a label to the top of our box, and called it finished! I am so happy with the way that this project turned out, and I can't believe the improvement over our old system! That's it! I hope you enjoyed this post, and even more than that, I hope you choose to make your own memory verse review system for your family! You are never too young or too old to start storing God's Word into your heart, and I know you will be blessed by making this habit a priority!